The father and uncle of a 13-year old pupil were accused in court on Wednesday of having injured two school officials and a boy in an incident at Pembroke school last Monday. 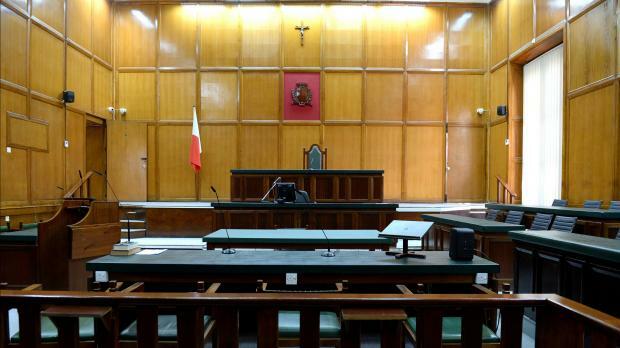 The arraignment took place at the same time as an urgent meeting was held between Education Minister Evarist Bartolo and the Malta Union of Teachers on ways to beef up security at schools. The MUT presented the Education Ministry with several proposals to improve security in schools. Feliciano Camilleri, 35, from Floriana, and his brother Alexander Camilleri , an AFM soldier, turned up at the school where the former’s son had allegedly been bullied by another student. The two brothers were charged with having slightly injured a boy and two school officers, threatened the officials, uttered foul language in public and breaching the peace. A request for bail was objected to by the prosecution in view of the gravity of the offence and the risk of tampering with evidence. Defence lawyer Alfred Abela countered that the men had turned up at the school after receiving a call that Feliciano’s son, 13, was being bullied by another student, 15, who was some “6 ft tall”. He said the bullying had been ongong for quite a while and his client’s son had suffered injuries. Educators, he said, had a right “rather a duty” to discipline their students and they should do so without incurring the risk of being violently taken to task, ending up assaulted and injured. Society would be at risk if it were to permit its younger generation to adopt a nonchalant attitude, getting away without discipline when this is due. He therefore turned down the request for bail, declaring that the court had a duty to ensure a balance between protecting society and the rights of the accused. The court also issued a ban on the names of both minors, parents of the alleged victim and all school staff, further issuing a Temporary Protection Order which, if breached, carried a maximum penalty of €7,000 or a maximum jail term of 2 years.